With the Sheffield station location still undecided. Route links from Birmingham, through Crewe and onwards towards Manchester and via the East Midland to Leeds have been confirmed. 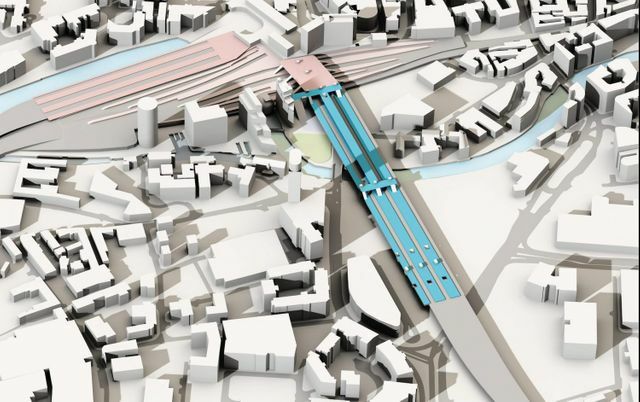 The preferred route for Phase Two of HS2 from Crewe and the West Midlands to Manchester and Leeds has been presented by the UK government. Today’s announcement, though not throwing up any major surprises, is an important step for the project as it begins the process of safeguarding the route from future development. The western leg of the high-speed railway will extend north from Crewe to Manchester Airport through to a new station next to Manchester Piccadilly station. The route will include a connection to Liverpool and to the West Coast Main Line allowing the compatible fleet to travel up to Scotland. The government has also confirmed that the eastern leg will include new stations in Toton, Sheffield and Leeds – although the location of the Sheffield station is still to be confirmed.